Below you will find a list of local naturally minded farms, dairies, and CSAs in the Kansas City area. These guys run their farms in sustainable ways, taking care of their animals and the environment, and provide the highest quaility products to KC. 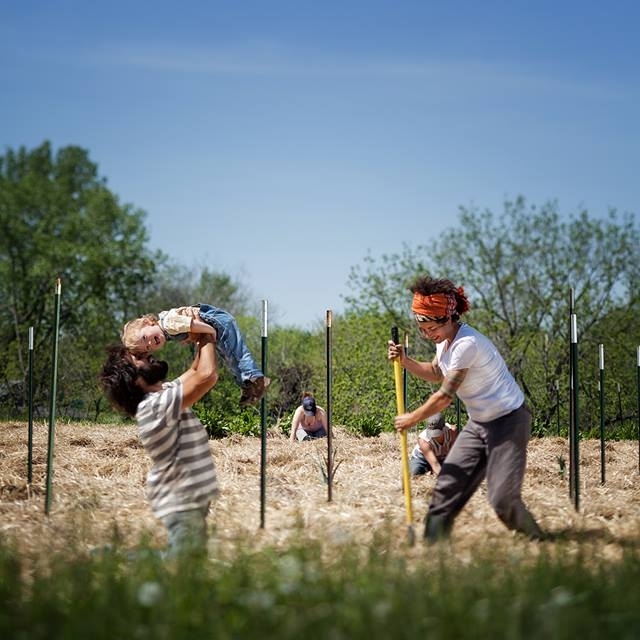 Be Whole Again is an integrated sustainable farm and educational community hub run by the Scott and Rachel Moser clan. They offer raw milk products from grass-fed Jersey cows, pastured free-range eggs, pastured pork, educational materials, biofeedback (biomeridian) testing, Kundalini Yoga videos, speaking & musical presentations. We keep bees in Kansas City! We focus on natural beekeeping practices and bring you product made with beeswax and honey from happy bees! We make products with the beeswax like lip balm, sunscreen, deodorant and solid perfume. We also sell our raw honey! Erik is the head beekeeper, Rachael creates the products and designs all the packaging. Your source for locally produced beef, pork, chicken, lamb and eggs. As local farmers, we appreciate the need for quality, responsibly raised foods. We have created Prairie Center Meats as a way to market the products we raise on our farm in Edgerton KS to local customers. Our farm is open for visitors and we are available to answer any questions you have about any of our products. Try our products and taste the difference local makes. The Schenker Family is committed to being good stewards of the land and the bounty it provides. All animals are allowed to graze freely on several hundred acres of prairie and other specialty grasses. In the winter, the animals are fed hay made from native grasses. They have access to mineral supplements and fresh, clean water year-round to maintain good health. We believe that it is our duty to provide a stress-free, humane, environment for the animals we raise. We believe that it is our duty to provide a stress-free, humane, environment for the animals we raise. Skyview Farm is a diversified farm located on 80 acres approximately 50 miles south of Kansas City. In a society that believes that bigger and faster is the only way to do things, this family farm subscribes to a different philosophy. Our goal is to provide healthy, nutritious food. This demands a bit more time and care. We believe that happy animals are those living in an environment that allows them to become what their Creator intended. Urbavore Farm is built with many green systems such as our earth-bermed passive solar home, composting toilet, grey/black water recycling system, solar panels, and more.